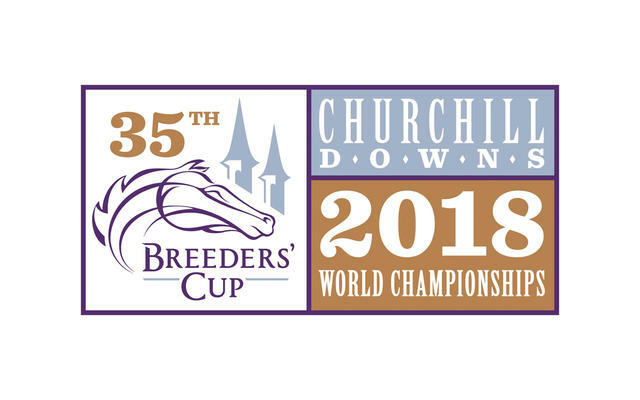 LEXINGTON, Ky. (August 22, 2018) -- The Breeders’ Cup, in conjunction with Churchill Downs, announced today the introduction of future wagering on this year’s Breeders’ Cup World Championships. Breeders’ Cup Future Wagers will be conducted in three pools beginning with Breeders’ Cup Classic (G1) and Longines Breeders’ Cup Distaff (G1) wagering opening on Friday, Aug. 24 at 12 p.m. ET. The Classic Future wager pool will conclude at 6 p.m. ET on Sunday, Aug. 26, and the Distaff Future wager pool will conclude at 6:30 p.m. ET on Sunday. Hronis Racing LLC’s Accelerate, a 12 ½-length winner of last Saturday’s Pacific Classic, has been installed as the 4-1 favorite in the first Breeders’ Cup Classic Future Wager, and Monomoy Stables LLC, The Eckstone Group and Bethlehem Stables LLC’s 3-year-old filly Monomoy Girl, the Kentucky Oaks (G1) winner, is the 7-2 morning-line favorite in the Longines Breeders’ Cup Distaff Future Wager. Both the Classic and Distaff Future Wager pools opening this Friday will consist of 23 unique wagering interests and one All Others wager for a total of 24 betting interests. “All Others” includes all Thoroughbreds other than the pool’s individual horses. Late Tuesday, wagering was suspended on Unbridled Mo (No. 22) in the Breeders’ Cup Distaff Future Wager due to her announced retirement. The Breeders’ Cup Future Wagers enable fans to bet on possible contenders for select Breeders’ World Championships races well in advance of the Nov. 2-3 event. Odds on horses in the pools could be more attractive than those available on the two days of Championship racing. The second Breeders’ Cup Future Wager pool will include the Sentient Jet Breeders’ Cup Juvenile (G1) and the Breeders’ Cup Juvenile Sire Future Wager, and will open on Aug. 31 and close on Sept. 2. The third and final Future Wager pools, scheduled to open on Oct. 5 and close on Oct. 7, will consist of the Breeders’ Cup Classic Future Wager #2 and the Longines Breeders’ Cup Turf (G1). The wager is a $2 minimum bet and a win wager only. Betting on all Breeders’ Cup Future Wagers will be offered at Churchill Downs tracks, via Twinspires.com and other advanced deposit wagering (“ADW”) sites, racetracks, casinos, simulcast centers, and off-track betting sites. Future wagering on the second pool, opening on Aug. 31 for the Sentient Jet Breeders’ Cup Juvenile and the Breeders’ Cup Juvenile Sires, also will consist of 23 unique wagering interests and one “All Others” wager for a total of 24 betting interests. Pools for the third and final Breeders’ Cup Future Wager opening on Oct. 5 on the Breeders’ Cup Classic and the Longines Breeders’ Cup Turf are tentatively set for a total of 15 unique wagering interests and one All Others wager. “Working together with our partners at Churchill Downs, we look forward to expanding the Breeders’ Cup wagering product for our fans with three exciting future wagering opportunities prior to this year’s World Championships,” said Breeders’ Cup President and CEO Craig Fravel. Following Accelerate in the Classic Future Wager at 9-2 is Gary and Mary West’s 4-year-old West Coast, trained by Bob Baffert, who has second-place finishes earlier this year in the Pegasus World Cup (G1) and the Dubai World Cup (G1). Ralph M. Evans and Laura Evans’s 5-year-old gelding Diversify, back-to-back winner of the Suburban (G2) at Belmont Park and the Whitney (G1) at Saratoga, is the current third choice at 5-1. e Five Racing Thoroughbreds and Stonestreet Stables’ 3-year-old Good Magic, last year’s Sentient Jet Breeders’ Cup Juvenile winner, recent Haskell Invitational (G1) winner and Saturday’s Travers Stakes (G1) favorite, is listed at 12-1, along with Speedway Stables 5-year-old Collected, the 2017 Pacific Classic winner, and Phoenix Thoroughbreds’ 3-year-old Gronkowski, runner-up in the Belmont Stakes (G1). In the Longines Breeders’ Cup Distaff Future Wager, China Horse Club International and Clearsky Farms’s 4-year-old filly Abel Tasman, winner of the Ogden Phipps (G1) at Belmont Park, is the current 4-1 second choice behind Monomoy Girl. Gary Barber’s Queen’s Plate and Prince of Wales’s winner Wonder Gadot is next at 5-1, followed by Claiborne Farm and Adele Dilschneider’s 4-year-old Elate (6-1), winner of the Delaware Handicap (G2), and Gainesway Stable, Harold Lerner LLC, and Andrew Rosen et al’s Eskimo Kisses, winner of the Alabama Stakes (G1) at Saratoga, who is listed next at 8-1. There are no scratches or refunds. Should Breeders’ Cup officials determine during the three-day run of the set pool that a wagering interest has suffered an injury or other circumstance that would prevent that horse from competing in the Breeders’ Cup, wagering on that interest will be immediately suspended. The Breeders’ Cup administers the Breeders’ Cup World Championships, Thoroughbred racing’s year-end Championships. The Breeders’ Cup also administers the Breeders’ Cup Challenge qualifying series, which provides automatic starting positions into the Championships races. The 2018 Breeders’ Cup World Championships, consisting of 14 races (13 Grade 1 events) with purses and awards totaling more than $30 million, will be held November 2-3 at Churchill Downs in Louisville, Ky., and will be televised live by the NBC Sports Group. Breeders’ Cup press releases appear on the Breeders’ Cup website, www.breederscup.com. You can also follow the Breeders’ Cup on social media platforms Facebook,Twitter, Instagram and YouTube.